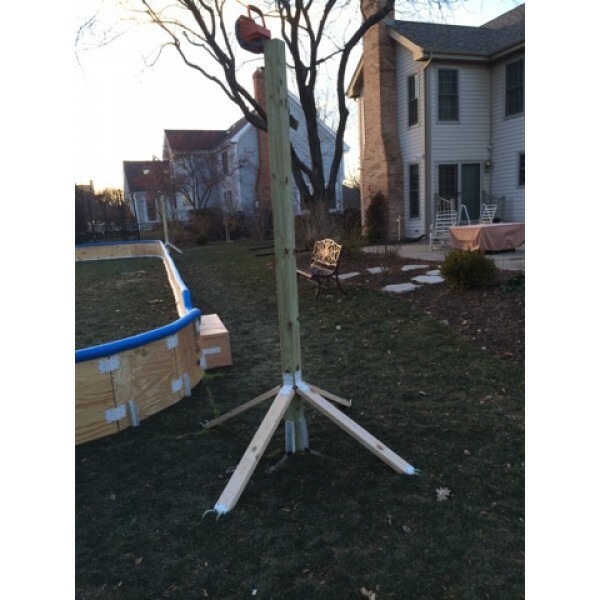 Use this post kit to mount lights or other decorations around your backyard rink. This kit allows you to mount a 4"x4" post vertically. It is very sturdy and can withstand adults leaning on it without deflecting. This kit is perfect to hold up a post for Christmas lights or other lights you might want to mount around a rink. Use two posts and string netting between them. Instant backstop to keep pucks under control!!!! No more need to dig a hole. 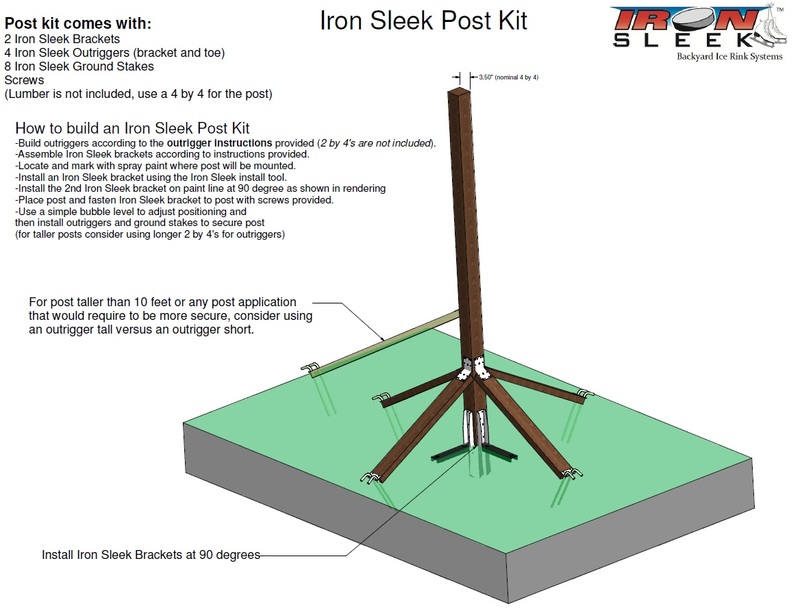 Just use the Iron Sleek Post Kit. 4"x4" x whatever length post you would like (10' pictured). 4 pieces of 2" x 4" lumber cut at 32" long. Check out our instructions for the Post Kit. The post kit worked great to put up lights. I bought 3 of them and picked up 3 halogen lights for $8/each plus some 4 by 4's from Home Depot. GREAT solution to a tough problem. Post were very sturdy.